Four magicians each answer a mysterious summons to an obscure address with secrets inside. A year later, they are the Four Horseman, big time stage illusionists who climax their sold out Las Vegas show with a bank apparently robbed for real. This puts agents Dylan Rhodes of the FBI and Alma Vargas of Interpol on the case to find out how they did it. However, this mystery proves difficult to solve even with the insights of the professional illusion exposer, Thaddeus Bradley. What follows is a bizarre investigation where nothing is what it seems with illusions, dark secrets and hidden agendas galore as all involved are reminded of a great truth in this puzzle: the closer you look, the less you see. 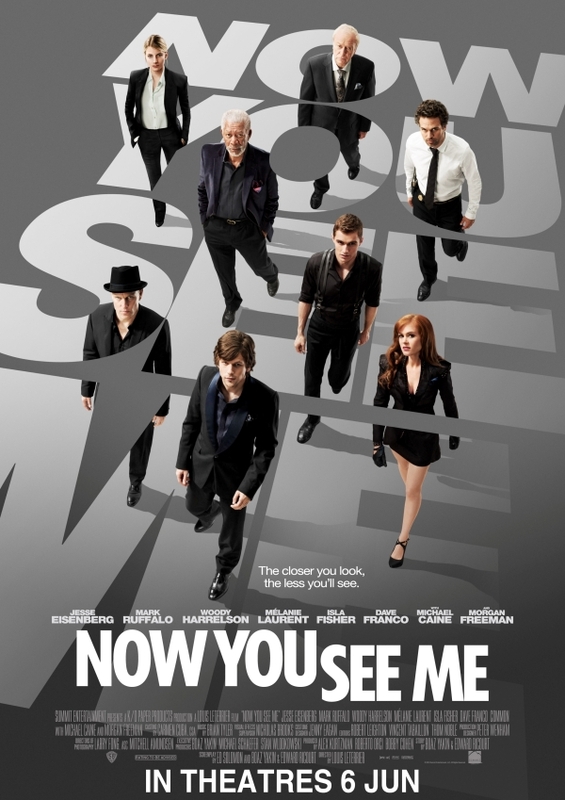 This entry was posted in Crime, Mystery, Thriller and tagged crime, Dave Franco, Isla Fisher, Jesse Eisenberg, Mark Ruffalo, Mélanie Laurent, Morgan Freeman, mystery, thriller, Woody Harrelson. Bookmark the permalink.